We introduce you a mod designed to make building in Minecraft more original and decorative, very usefull if you are a constructions lover. 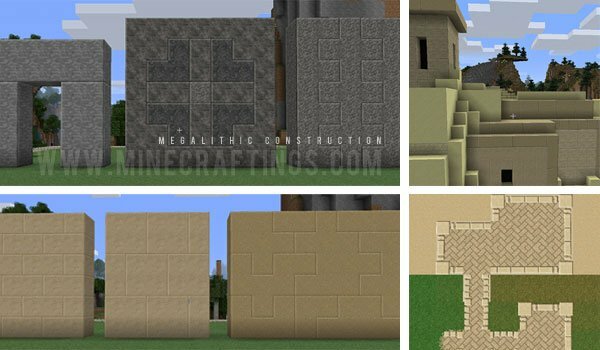 Megalithic Construction 1.4.7 adds 16 new decorative blocks with which you can create new structures for your worlds. This new blocks will allow you to connect or divide tetures with other adjecent blocks, with this you will be able to create lots of new wall decoration possibilities. Also, there are textures that connect atuomatically when putting blocks thegether, so you’ll get beautiful paths and architectural walls. To join or divide adjacent blocks you’ll need special tools included in this mod: the stone carving tools is to generate the boundary lines of blocks and the mortar and Trowel tool to remove the dividing lines done. Use different hammers depending on the material you want to modifiy. It is a mod designed to create walls, castles and monuments with blocks of different sizes from the standard one. 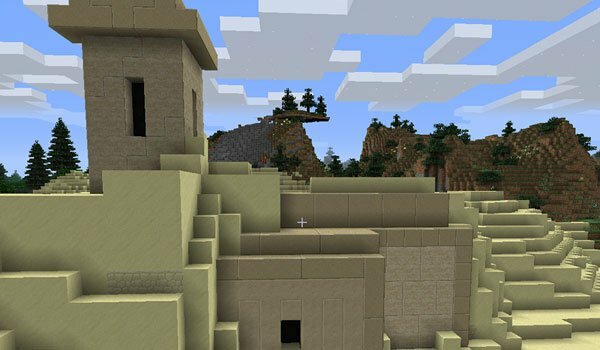 How to install Megalithic Construction Mod for Minecraft 1.4.7? Paste Forge API files within “minecraft.jar”. 16 new blocks and the possibility of joining textures to get new block sizes!